Carla Casulo, MD, Assistant Professor of Medicine, was awarded her medical degree from the State University of New York Downstate in Brooklyn, New York. She later completed her internship, residency and chief residency at Yale University School of Medicine in New Haven, Connecticut. From 2008 to 2012, Dr. Casulo was a fellow in hematology and oncology at Memorial Sloan-Kettering Cancer Center in New York, New York. Dr. Casulo was honored as recipient of numerous awards, including the John W. Bracket Housestaff Teaching Award at Yale University School of Medicine, the Mortimer Latcher Fellowship Award from the Lymphoma Foundation, the NIH John Calabresi Career Development Award, and an American Society of Hematology Abstract Achievement Award. She has presented her work in lymphoma at both national and international levels and is a member of the American Society of Hematology and American Society of Clinical Oncology. Dr. Casulo's research experience and areas of interest include newly diagnosed and relapsed Hodgkin lymphoma, mantle cell lymphoma, diffuse large B cell lymphoma ,and peripheral T cell lymphoma. In addition to being board-certified in medical oncology and hematology, she is certified by the American Board of Internal Medicine. 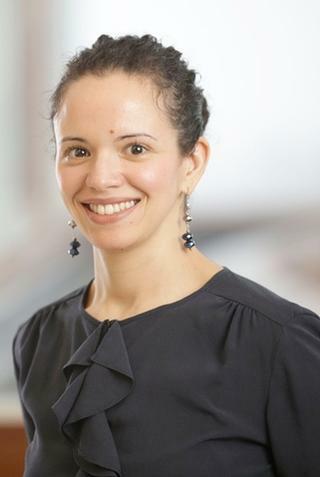 Carla Casulo, MD, Assistant Professor of Medicine and Associate Director, Hematology/Oncology Fellowship Program was awarded her medical degree from the State University of New York Downstate in Brooklyn, New York. She later completed her internship, residency and chief residency at Yale University School of Medicine in New Haven, Connecticut. From 2008 to 2012, Dr. Casulo was a fellow in hematology and oncology at Memorial Sloan-Kettering Cancer Center in New York, New York. Dr. Casulo was honored as recipient of numerous awards, including the John W. Bracket Housestaff Teaching Award at Yale University School of Medicine, the Mortimer Latcher Fellowship Award from the Lymphoma Foundation, the NIH John Calabresi Career Development Award, American Society of Hematology Abstract Achievement Award, Hematology/Oncology Training Program Teacher of the Year Award, and an ICARE Patient Centered Bronze Star Award. She has presented her work in lymphoma at both national and international levels and is a member of the American Society of Hematology and American Society of Clinical Oncology.
. "Burkitt lymphoma- a rare but challenging lymphoma. Casulo C, Friedberg JW. Best Pract Res Clin Haematol. 2018 Sep;31(3):279-284." 2018; 1. Casulo C, Nastoupil L, Fowler NH, Friedberg JW, Flowers CR. "Unmet needs in the first-line treatment of follicular lymphoma." Annals of oncology : official journal of the European Society for Medical Oncology. 2017 Sep 1; 28(9):2094-2106. Carson KR, Horwitz SM, Pinter-Brown LC, Rosen ST, Pro B, Hsi ED, Federico M, Gisselbrecht C, Schwartz M, Bellm LA, Acosta MA, Shustov AR, Advani RH, Feldman TA, Lechowicz MJ, Smith SM, Lansigan F, Tulpule A, Craig MD, Greer JP, Kahl BS, Leach JW, Morganstein N, Casulo C, Park SI, Foss FM. "A prospective cohort study of patients with peripheral T-cell lymphoma in the United States." Cancer.. 2017 Apr 1; 123(7):1174-1183. Epub 2016 Dec 02.